Owned by PT Indonesian Paradise Island which is a joint venture company between PT Indonesian Paradise Property Tbk., Sahid Group and PT Bimantara Citra. 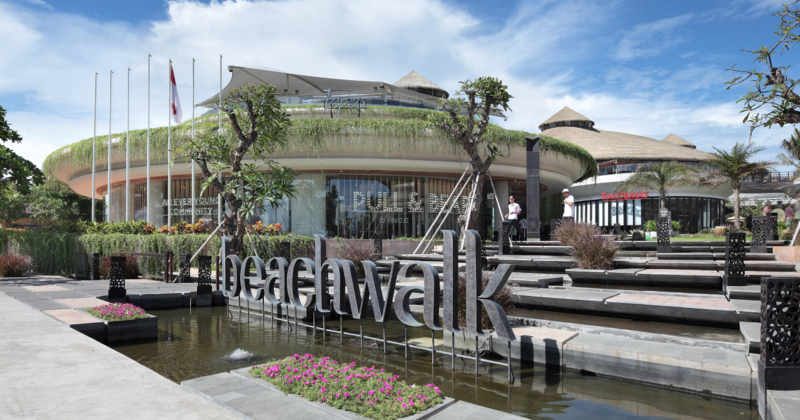 beachwalk Shopping Center has a unique architecture design with a green and open concept, creating relaxing and open atmosphere as Bali’s island lifestyle. The perfect combination of water, lush garden and the sea breeze makes beachwalk Shopping Center as the oasis in the heart of Kuta.